It’s been five years since Lamborghini introduced the Huracán, and if you’re still driving one of the oldies, it’s a great time to trade up. 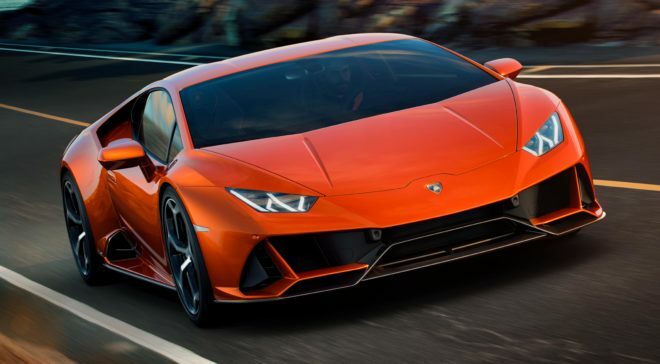 For 2020, the standard Coupe evolves into the appropriately named the Evo, inheriting the track-oriented Huracán Performante model’s 631-hp version of the V10 engine and some chassis tech from the Aventador S.
Firstly, there’s an updated look with lots of hexagons. You’ll see them in the new 20-inch wheels, side air intakes and even the upholstery. The revised design elegantly integrates aero features that Lamborghini says yield a 500-percent improvement in downforce and aerodynamic efficiency over the original 2014 Huracán. And, if you stopped thinking big wings look cool when you were 21, the clean-yet-still-sinister look is a bonus. Without turbos to muffle its voice, the Lamborghini 5.2-liter V10 makes magnificently raucous sounds through the Huracán Evo’s high-mounted twin exhaust tips.The Evo will scream from 0-60 in less than 3 seconds and hit 200 km/h (124) mph in 9. The Huracán Evo keeps the Coupe’s 7-speed dual-clutch transmission and all-wheel drive and gets juiced up with rear-wheel steering and four-wheel torque vectoring. It’s all controlled by Lamborghini Dinamica Veicolo Integrata. This complete afternoon’s Italian lesson translates to one electronic brain to control all the car’s dynamic systems. Feeding that system the data it needs is Italian lesson #2, Lamborghini Piattaforma Inerziale. 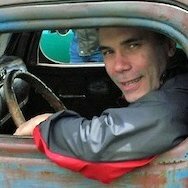 Second-generation accelerators and gyroscope sensors, placed at the car’s center of gravity, monitor in real-time the car’s every movement in every direction, and possibly even along the astral plane. As a result, the Huracán Evo’s magnetorheological suspension performs better, helping make the car three seconds quicker than the outgoing Huracán Coupe around the Nardo test circuit. It all adds up to a starting price of $261,274. You also get a new 8.4-inch touchscreen built into the central tunnel, so what are you waiting for?